With a new and innovative approach, Diamond Systems brings conduction cooling to the stackable small form factor market. 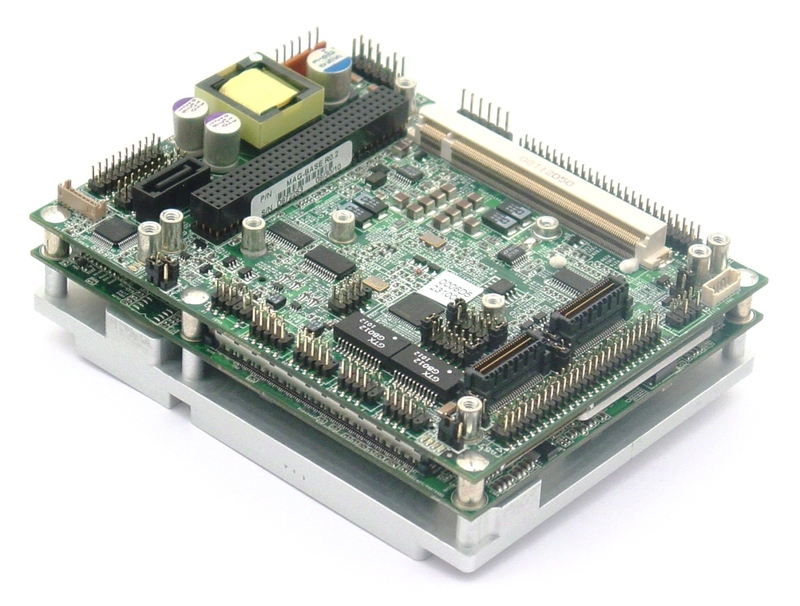 Now PC/104 and other small form factor SBCs and I/O cards can be used in sealed boxes without compromising ambient operating temperature or system reliability. See our line of conduction cooled single board computers on the right! 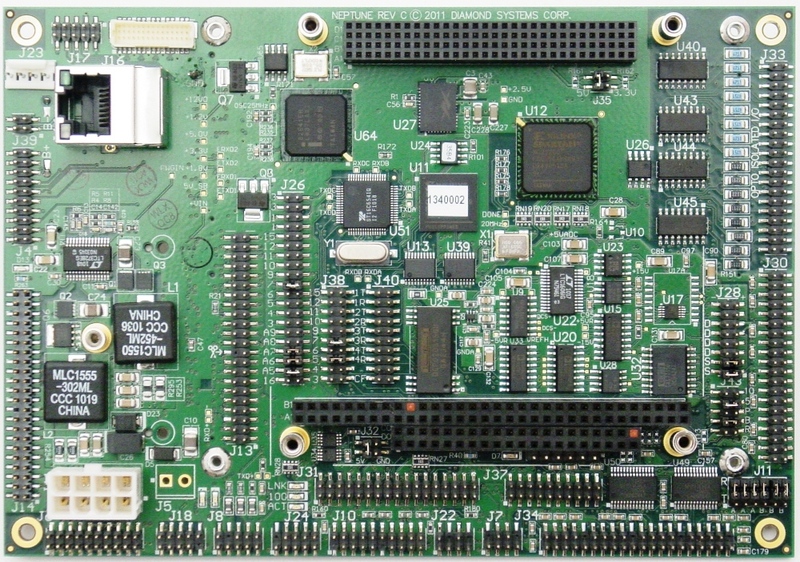 Diamond's technique involves designing SBCs so that the major heat producing components (CPU, graphics chips, power supplies) are located on the bottom of the board, rather than the conventional top side. Then a heat spreader plate is mounted on the bottom of the SBC, where it also serves as the system's mounting platform. The heat spreader efficiently transfers heat from these components directly to the enclosure wall, without passing through the air inside the enclosure. 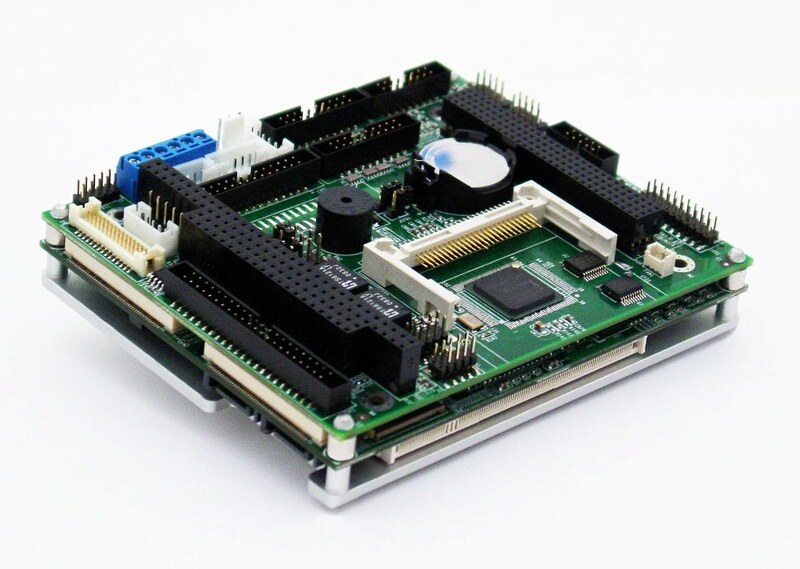 Test results show conclusively that a heat spreader keeps the processor and other components cooler than conventional heat sinks, enabling a higher upper ambient temperature rating as well as lower rates of heat-induced failure. The simplifying assumption that allows for conduction cooling to be implemented in small form factor stackable systems is to only stack expansion modules upwards. With the SBC and its heat spreader located at the bottom of the stack, heat is conducted down and out, while I/O modules stack upward, free of any physical interference with heat sinks. This approach allows systems designers to build "cool" stacked solutions with high I/O density in a smaller space than ever before possible. 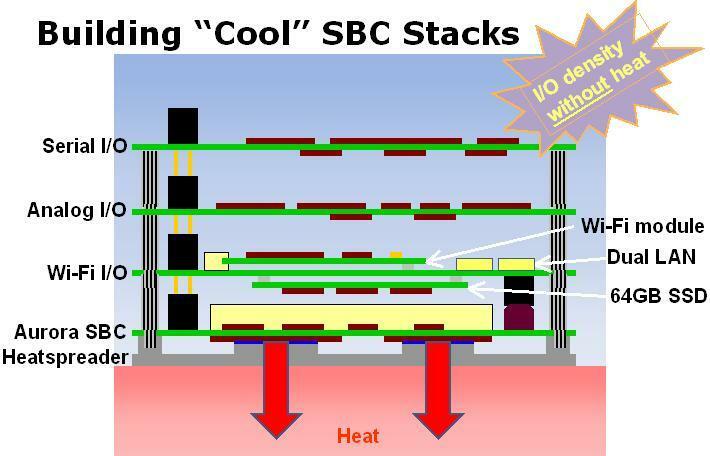 Download our Conduction Cooling for Stackable SBCs whitepaper. Conduction-cooled solutions offer multiple benefits over conventional heat sink cooling. 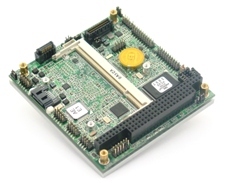 Diamond's conduction-cooled heat spreaders are sized to match the exact dimensions of the single board computer or computer-on-module. This assures an exact fit with the stack while maximizing the heat spreader's thermal effectiveness. Every heat spreader features four #6-32 threaded mounting holes in a 2.8" x 2.8" industry-standard mounting hole pattern for securely attaching to an enclosure or bulkhead. This standard mounting hole pattern not only provides a rugged and reliable mounting method, it also assures interoperability across Diamond's entire family of conduction-cooled SBCs. 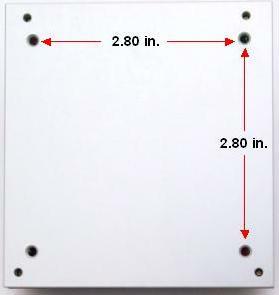 Using a separate set of holes further simplifies assembly effort by preventing a COM-based system from having to be disassembled in order to be installed in the enclosure.